The royal state of Rajasthan is one of the most popular destinations in India, which is known for its splendid Rajputana structures, bustling local bazaars, various dance forms, mouth-watering food and much more. Colors of Rajasthan is a well-planned tour package of 10 days, which lets you discovers some of the most sought-after cities of this state including Jaipur, Jodhpur, Ranakpur, Udaipur and Pushkar, along with other delights like Delhi, Agra, and Fatehpur Sikri. Every place in this itinerary has its own specialty. Not a single moment is going to be dull. 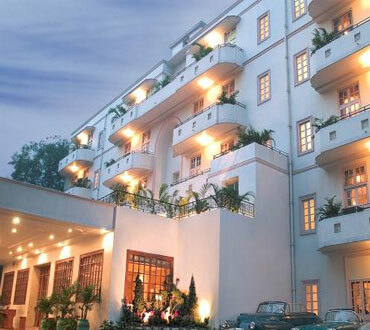 Heritage hotels as accommodation would be the star attractions. Arrive at the Delhi Airport. Meet our tour representative who helps you with an assisted transfer to the hotel. Complete the check-in. Overnight stay in a heritage hotel or a similar category. Day 2 post breakfast is scheduled for full day city tour including some of the most popular attractions of city. The first visit of the day is to the Laxmi Narayan Temple or Birla Mandir. It is dedicated to Lord Vishnu (Narayan) and his consort Goddess Lakshmi. 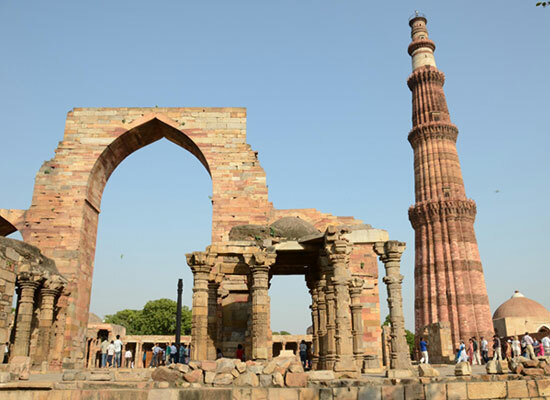 The other attractions that you visit today are India Gate – a war memorial, Parliament House – an important official building, Red Fort or Lal Quila – the seat of the Mughals till 1857, Jama Masjid – one of India's largest mosques, Gandhi memorial, Jantar Mantar – an astronomical observatory, and the World Heritage Site of Qutub Minar. Dinner at the hotel. In the morning, get transferred Agra, by road. Post breakfast, begin the road journey to the Mughal City. On arriving, check-into the hotel. Get freshened up and embark on a city tour of Agra. The first visit of the day is to the colossal structure of Agra Fort, which is a UNESCO World Heritage Site. While the fort was made by Emperor Akbar in red sandstone, later additions were made by Emperor Shah Jahan in white marble. Next site that you visit is the Itmad-ud-Daula Tomb- also known as the Jewel Box and the Baby Taj. In the evening, head to the local markets of Agra for enjoying shopping. Day 4 starts a little early. 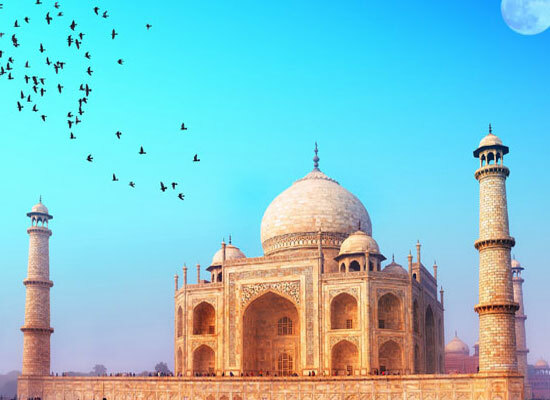 Visit the World Wonder of Taj Mahal. As this beautiful white-marble mausoleum shines in the glory of morning sun, savor its wonderful and colorful views. This monument of love was commissioned by Emperor Akbar in the memory of his beloved wife Mumtaz Mahal. Back to the hotel for breakfast, followed by check-out. The road journey for Jaipur begins. On the way, halt to visit the World Heritage Site of Fatehpur Sikri, an old deserted town, which was once a bustling Mughal Capital. Admire the various wonderful structures in its boundaries. Later on, continue towards Jaipur. Check-in at the hotel. 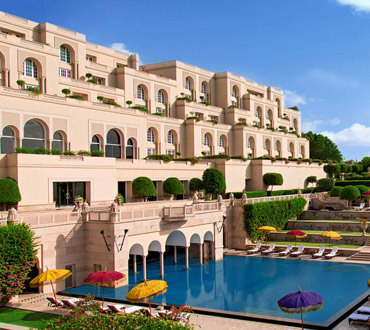 The day is scheduled for sightseeing in Jaipur. Start the tour by visiting the might hill-fort of Amer Fort. As the fort on a hilltop, elephant rides are offered to its entry gate in the morning. It is 11 km away, at the city outskirts. 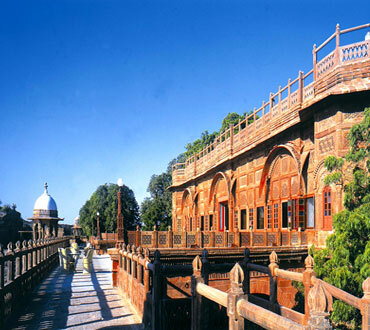 Thereafter, explore the City Palace complex- a mix of Rajasthani and Mughal styles of architecture. 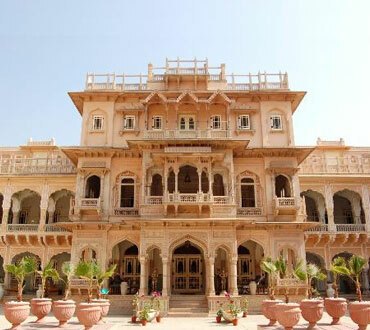 The complex has a number of palaces and museums, including the residence of the royal family of Jaipur, called Chandra Mahal. Next is the royal observatory of Jantar Mantar- a UNESCO World Heritage Site. Return to the hotel for dinner. On the 6th day, road journey for Jodhpur, the next destination starts. 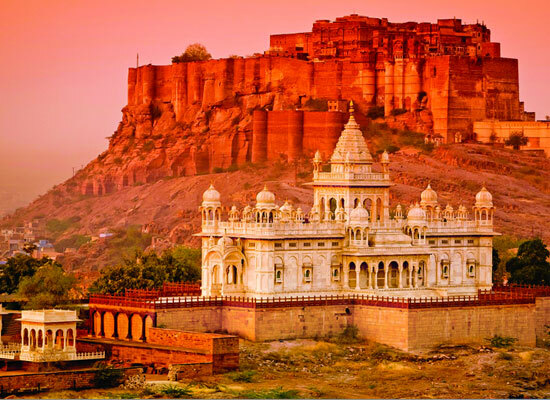 Referred to as the Blue City, Jodhpur is one of the most popular cities in Rajasthan. Founded in 1459 by the Rathore Dynasty, it is dotted with a number of historical monuments. On arrival, complete the check-in formalities at the hotel. Freshen-up and embark on a sightseeing tour including the mighty forts, placid lakes and splendid palaces. The first visit of the day is to the well-known Mehrangarh Fort, famed as one of the largest forts in India. This mighty structure has several wonderful architectural marvels in its boundaries including the splendid Phool Mahal along with a well-stocked museum housing musical instruments, royal palanquins, furniture and cannons. The other attractions that you visit today include Kaylana Lake, Umaid Bhawan Palace and Jaswant Thada. Dinner at the hotel. In the morning, post breakfast, road journey to Udaipur begins. 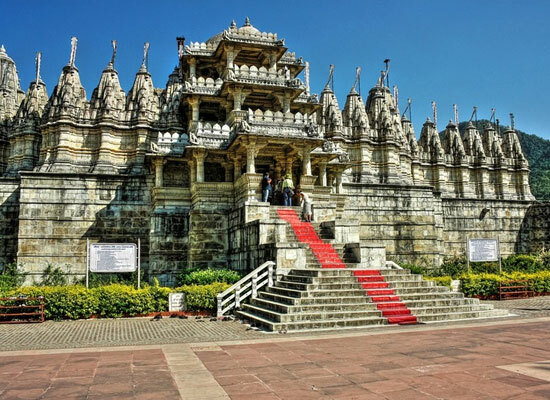 On the way, halt to visit the very popular Jain temple at Ranakpur, known for their wonderful carvings. It was built in the 15th century. It is one of the five holiest sites in Jainism. 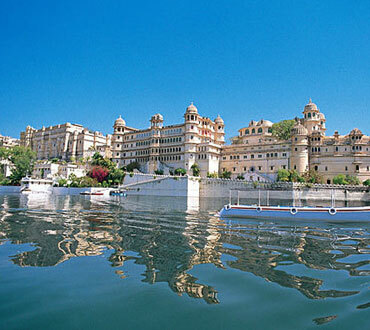 Continue your journey to Udaipur. On arrival, complete the check-in formalities. Evening is at leisure, you can explore the place on your own. Post breakfast, get ready for city tour to Udaipur. Also termed as the 'City of Lakes', this royal city is a display of Rajputana grandeur, taking you back in past times. With Aravallis in the background, this beautiful city is also termed as the 'Venice of the East'. Founded by Maharana Udai Singh II, it is dotted with several palaces, forts and other historical monuments. The attractions that you visit today include the City Palace, Jagdish Temple, Jag Mandir and Saheliyon-Ki-Bari. Evening is scheduled for enjoying on the banks of Lake Pichola. Breakfast is followed by road journey to the holy town of Pushkar, which is known for its sacred sites, and wonderful vistas. Otherwise a quaint town, it bustles with activity during the very popular camel fair, attended by a huge number of locals as well as tourists. As you arrive, complete the check-in formalities and rest for some time. 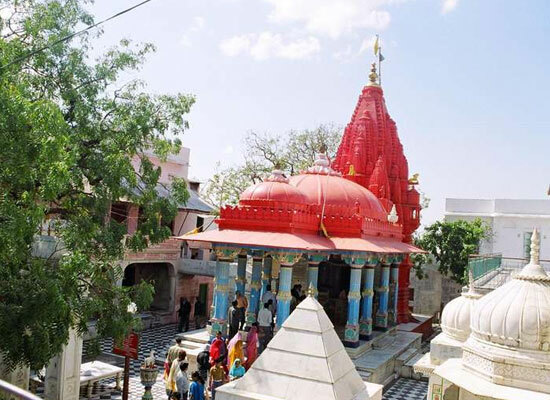 Thereafter, get ready for exploring the place including popular sites such as Brahma temple, Aptaeshwar temple, Raghunath Mandir, Pushkar Lake, and Old Rangji Temple. Dinner at the hotel. Today, start for Delhi. On arrival, get off at the railway station / the airport to board a train / a flight for your onward journey.